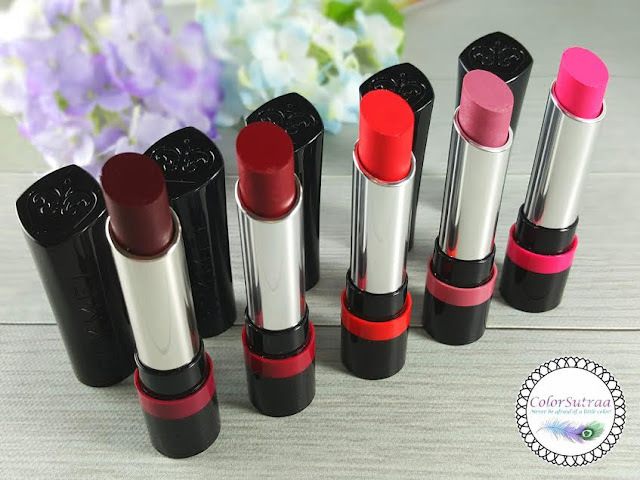 Get Ready for Spring with RIMMEL The Only 1 lipsticks! Hi there, my darlings! Have you noticed how the cosmetics brands found in our local drugstores are KILLING it lately? I mean, don't get me wrong. I have and love several high-end brands' products that work fabulously for me. But, sometimes it's just exhausting to keep up with all the launches, then obsessively stalk said launches, THEN if you happen to be lucky enough to score before your coveted products sell out, you have to wait a whole lotta time before these products are shipped and finally in your hands. Sheesh. Sometimes, a girl just wants to stroll into her local CVS and be able to pick up a gorgeous lippie for date night or girl's night out or hey! Just because she got through the work week in one piece. And with Rimmel and this gorgeous new collection of lippies, you can do just that! So, what is this collection we're talking about today?? The first lipstick of its kind, The Only 1 is set to challenge lipstick history. A unique multi-tasker, it excels in EVERYTHING you look for in a lippie. Discover intense, high-impact shades. Enjoy an ultra-comfortable, weightless feel and indulge lips in luscious moisture. A worry free experience is guaranteed because the gorgeous colour stays put for hours and hours. 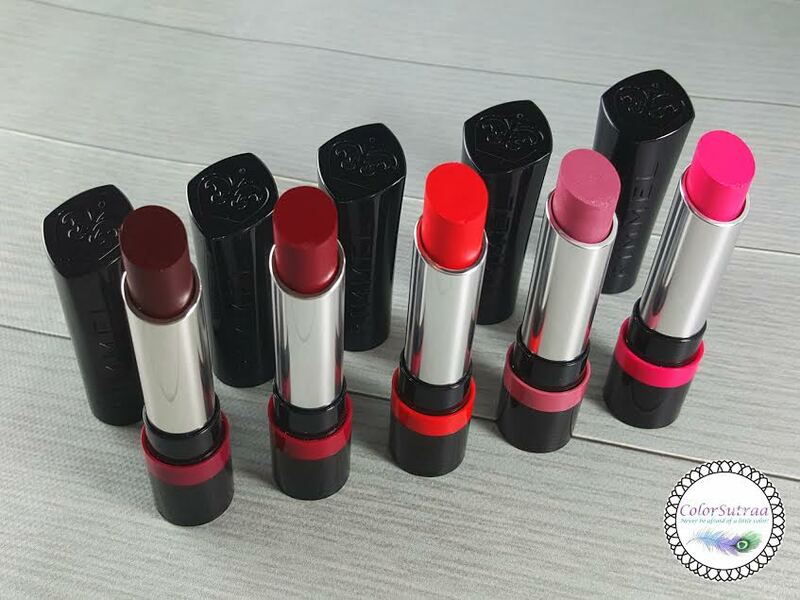 It’s the only 1 lipstick you need…and the only 1 that won’t let you down. Our hero! COLOUR – Pre-coated pigments allow for fabulous full coverage in one easy stroke. The true-to-the-bullet colours are gloriously vibrant and luminous on application… and hours later. COMFORT – The formula containing a blend of lightweight oils provides a gorgeous glide and a feather-light feel with an amazing cushioning sensation. MOISTURE – Throughout wear, the formula with Rosa fruit oil leaves lips feeling moisturised. Mmmwah! For extra TLC, the formula contains Vitamin E.
WEAR – A fine blend of advanced polymers sets the formula and enhances skin-adhesion for outstanding staying power. 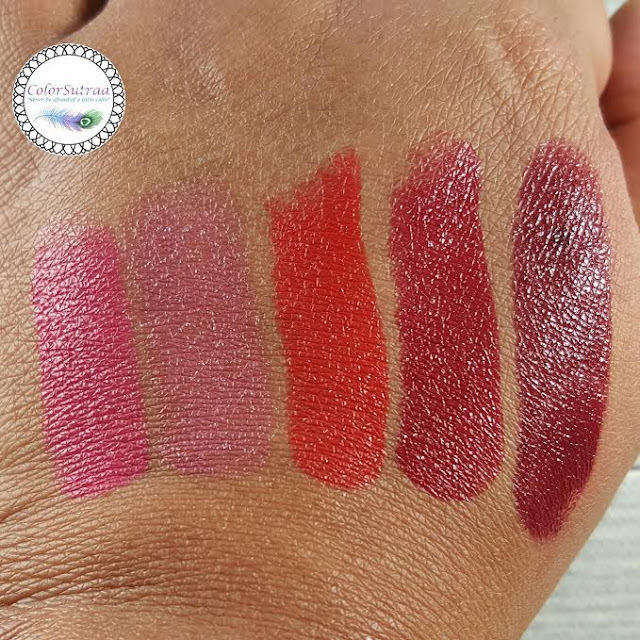 Lips feel hugged by colour and moisture for hours. IMPRESSIONS : I've been so impressed with Rimmel's products lately and I'm pretty much over the moon about these lipsticks! Super pigmented and intensely hydrating at the same time, these lipsticks apply beautifully and stay put for hours! You see the swatches above and below? Those are just TWO quick swipes of each shade! I love that these have the coverage and pigmentation of the best matte formulas but are so moisturizing with that alluring hint of shine. With this unpredictable weather we've been having lately, my lips need a little extra hydration! These are just perfect for the Season! Now I have to pick favorites, don't I? I'm a huge fan of berry lipsticks, as I am of berry polish, so One-Of-A-Kind and Oh-So-Wicked are both keepers for me! But, surprisingly, I also like the muted pink hue of It's A Keeper A LOT! And I could totally work with Pink A Punch during ther Spring and Summer seasons...Oh and I have 6 others from this collection I want to try. So, basically, I need them ALL! Have you found any of these products at YOUR local retailer? Which ones are you eyeing to be YOUR perfect shade? Tell me which ones in the comments section below! I've seen these now on a few beauty blogs, and wow are they ever gorgeous! When I get some CVS Extrabucks, I'll be picking up a couple for sure. These are absolutely gorgeous! I am super impressed by what Rimmel has been doing lately, and definitely need to try these! Very pretty! I love full color. 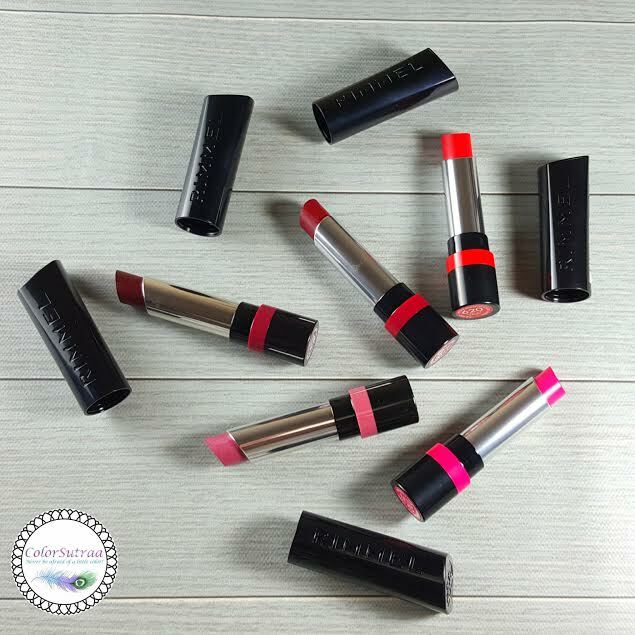 Wow These are Gorgeous and I Can't Believe that They Rimmel Brand b/c They Look Amazing Swiped! I Really Want Pink a Punch & It's a Keep a Lot! Will Have to Check These Out for Sure! Wow, these look so gorgeous and sound incredibly promising! I need to hunt these down, I love most all drugstore lippies! These shades are so great! I really like It's a Keeper.